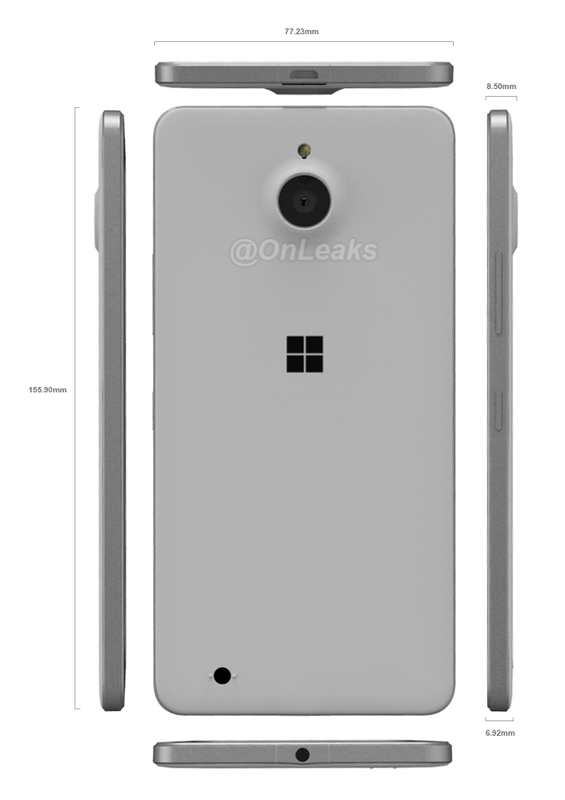 Home Article	Lumia 850 Leak – My Thoughts! Now that the Lumia 950 and Lumia 950 XL are available for purchase in many countries and people are reporting about their experience with Microsoft’s latest flagship mobile phones some of us are still looking out for a decent midrange Windows 10 Mobile handset. Today – thanks to leaks of Twitter user @OnLeaks – we might just have gotten our first look at what is supposed to be the successor of the Lumia 830 (which I still use and love!). The leak claims the device will have metal sides, which would probably be welcomed by many Windows Phone fans out there – including myself – who are used to this kind of premium feeling with their Lumia 830 or 930. Furthermore, the device is said to have the dimensions of 155.9 mm x 77.23 mm while it’s only 6.92 mm (8.5 mm including the camera bulge) thin, which would make it to one of the thinnest Lumia devices out in the market. Comparing the length and the width of the device with the 830 (139.4 mm x 70.7 mm) suggests that the device will have a much bigger screen than the 5” display found on the Lumia 830. Of course, those numbers could also just be completely wrong and we might see something in the 5″ to 5.2″ range again. Other than that the renders look quite nice and I’m definitely curious to learn more about this phone! Well-know leaker @evleaks added that the device will have a gold-colored trim and a gold Microsoft logo on the back – and I really hope this isn’t the only version of this device! He also mentioned another interesting fact regarding the front facing camera: The device will feature a front-facing flash. While I don’t really need it, this might be very important to others so I think it’s good that Microsoft has decided to offer another Selfie phone. This again might suggest that the device actually will be a successor to the “selfie phone” Lumia 730. In the end, we don’t have much information but still I really hope we will see a device like this in the near future. Take a look at all the pictures over at Nowhereelse.